It may be hard to believe in 2018, but surgeons continue to operate on the wrong body parts. These are called “never events” in the medical community because they should never happen. Nevertheless, if you are injured because a surgeon operated on the wrong part of your body, then you should meet with a medical malpractice lawyer. You probably have a very strong case for compensation. What are Wrong Site Surgeries? Imagine you need to have surgery on the cornea in your left eye. Soon after going under anesthesia, your surgeon cuts into your right eye to repair the cornea. This is a wrong site surgery. The surgeon has begun to operate on the wrong site in your body. Reasons for wrong site surgeries vary, but many can be attributed to poor communication. Often, information is recorded on your chart improperly. Surgeon carelessness can also be another cause. In many cases, small errors compound other small errors, leading to a surgical error. According to one study, wrong site surgical errors take place in one out of 112,000 surgeries. 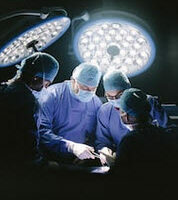 Wrong site surgeries are also fairly common for surgeons who perform spinal surgery. About half of those surveyed had performed a surgery on the wrong level of the spine at least once in their careers. How Can Surgeons Minimize the Risks of these Errors? Check and confirm the accuracy of all documents the day before the surgery. These documents include patient charts. Require consent forms to be clear and legible. Reject those that contain unapproved abbreviations. Use an indelible single-use site marker when preparing for surgery. Develop a time-out process for surgery. Empower staff to speak up or ask questions. When hospitals implemented these and other safety practices, they were able to the number of cases with wrong-site surgery risks by around 50%. What Problems are Associated with Wrong Site Surgeries? There are many problems. For one, the surgeon can end up injuring a healthy body part, either temporarily or permanently. This injury will end up requiring additional medical care, which can cost money and cause you to miss additional work. Also, the patient will require longer surgery, which can increase the risk of surgery-related complications, such as infections or anesthesia errors. Wrong site surgeries can also cause severe psychological stress. If a patient is left with scarring or other disfigurement in an unexpected location, then a patient can feel embarrassment and shame. What Should You Do after a Wrong Site Surgery? If you have been injured by a careless surgeon, you need an experienced Volusia County medical malpractice attorney by your side. Surgeons and their malpractice insurers will fight these claims aggressively. A surgeon might also not want to admit that he or she made the error. You will need someone skilled in your corner who can investigate and then hold the surgeon accountable. Call Bundza & Rodriguez today at 386-252-5170. We offer a free consultation, where you can tell us about your situation. Schedule yours today.